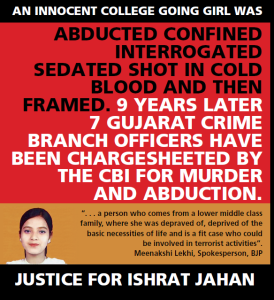 The decision of the Central government not to sanction prosecution of some Intelligence Bureau officials in the Ishrat Jahan murder case is a blatant attempt to subvert the case. The CBI, after investigation, had proceeded to chargesheet those involved in the crime, including the four IB officers. The decision of the Home Ministry to protect these persons is unconscionable. 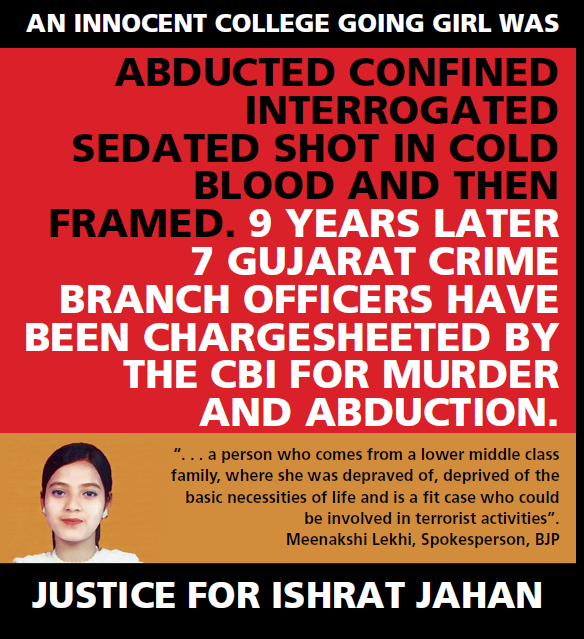 Both the BJP government at the Centre and the BJP government in Gujarat are working in tandem to undermine the cases involving false encounters and killings by the police.